This is an extension of the Burrito Project in South Pasadena. Lincoln Heights is our home away from home. We will be meeting in South Pasadena until October 2018 and return to Lincoln Heights back in November 2018. Many of the burrito projects in the Los Angeles area serve the homeless in Downtown LA. For example, Lincoln Heights is just 15 minutes from downtown Los Angeles. We make/assemble the burritos at a food bank in Lincoln Heights at The Church of the Epiphany Kitchen, then carpool/caravan to Skid Row in downtown Los Angeles to deliver our freshly made burritos. Come join us on the 3rd Thursday of every month. 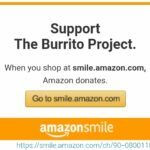 The Burrito Project South Pasadena (also sharing a location in Lincoln Heights) has been serving the homeless of DTLA since 2009. PLEASE NOTE: We will be in South Pasadena from April – October 2019.